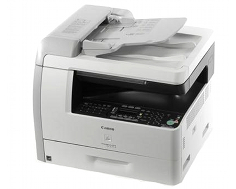 The Canon Copier ImageClass MF6590 is a multi-function duplex printer that can be considered a mirror image of the Canon Copier ImageClass MF6590, with some key upgrades that offices and businesses, especially those that have high-speed and high-volume demands, would find quite useful. With a slightly increased speed in printing, the Canon Copier ImageClass MF6590 allows for increase in print productivity and efficiency. But the real key addition is its built-in Ethernet capability that is sure to make offices that rely significantly on network connectivity a lot more satisfied. The MF6590 features a 1-page print per minute (ppm) advantage over the MF6560, with its speed at 24 ppm for monochrome prints. This still proves to be a significant change especially for offices that are looking to maximize their savings, as this upgrade has yields a total of 60 more pages in a course of 1-hour printing. The MF6590 retains the MF6560's front-loading cassette capacity of 500 sheets and a multi-purpose tray with a 100-sheet capacity. The multi-purpose tray serves as a specialized print tray, handling printing of other, usually thicker media, such as envelopes and labels or other specialized types of paper with a variety of sizes. Print resolutions also stay the same as the MF6590's predecessor, with a 600 x 600 dots per inch for gray scale prints and 1200 x 600 dpi for quality prints. The paper weights are also identical, with a capacity of 24 lbs. for front-loading cassette and a maximum weight capacity of the 34 lbs. And of course, the MF6590 works as a duplex printer capable of printing on both sides of the paper in a smooth and seamless fashion, making the 1-page per minute advantage more significant. Scanning still enjoys a high-quality resolution in this ImageClass release, with resolutions of 9600 x 9600 doi for its interpolated scan, and 600 x 600 dpi using the multi-function printer's optical scan option. With printing is done through Canon's Color Contact Image Sensor (CIS) that is built in within the MF6590, it is able to give a thoroughly detailed scan, whether for a text, image or graphic. Accepted file formats for scanning are JPEG, PDF TIFF and BMP. The MF6590 also retains a 24-bit color depth, with TWAIN and WIA printing interfaces available. The MF6590, with its printing speed upgrade, appears to be in the right direction if it looks to be a speedy yet versatile machine, especially among other models'� MFPs. The MF6590, aside from speed printing, can also boast for its high-speed faxing, with fax properties of 33.6Kbps. This high-speed modem can produce up to approximately 2 seconds for a faxed page. The fax memory function was also upgraded as it is now capable of making a 1 hour backup to its memory. Fax resolution is decent, with a 406 x 391 dpi. As for its speed dial, the MF6590 can be set to have 23 entries for its one-touch speed dials and up to 100 sheets for coded dials. 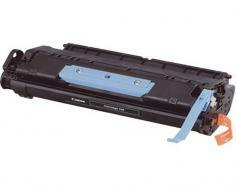 Copier work is still quite effective with the MF6590, having similar speeds compared to its printing option at 24 ppm. Copy resolutions are also the same: 600 x 600 for black copying and 1200 x 600 dpi maximum for quality copying. This is done through the laser-based Monochrome Digital Copier, exclusive to Canon technology. Zooming is also retained at 50 to 200% while reduction and enlargement cover 50, 64, 78, 129 and 200 percentages, with the benefit of a 1% increment option, making the MF6590's copy functions and the MF6590 itself, one of the most versatile copiers in its class. The MF6590 also features a 50-page automatic document feeder to allow it users a more convenient and smooth copying, printing and faxing. Halftones are still at 256-levels, and other copy feature is the memory card with a 128MB shared memory. 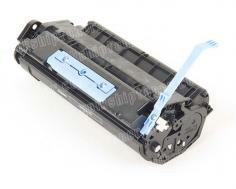 The MF6590 also supports duplexing in its copier function, as well as printing and scanning. The MF6590, as with their previous efforts in coming up with a quite reliable and and speedy multi-function printer, isn't free from criticisms. While its performance is quite respectable for a multi-function printer, the MF6590 still lacks enough speed and power to compete with other duplex copiers in the market, even with those that have a slightly higher price mark. Also, the LCD panel continues to be an awkward display for a machine that does a lot of office work. Review it: "Canon imageCLASS MF6590 "
The MF6590 has a also a durable monthly cycle of 15,000 pages, and the recommended replacement for the MF6590's Single Cartridge System is toner cartridge is that yields 5,000 pages, and with Ethernet network capability, the use of the MF6590s's rather large toner cartridge should prove to be more economical and efficient.